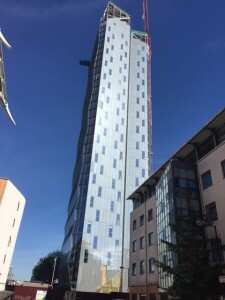 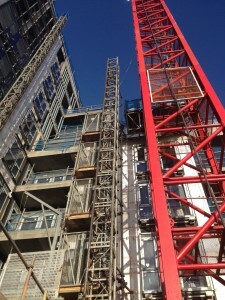 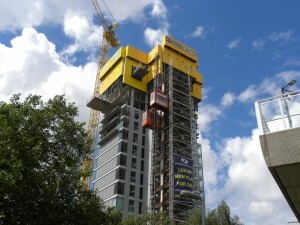 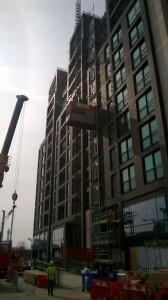 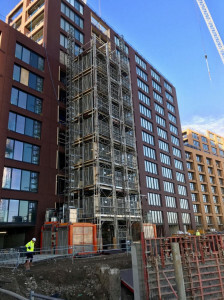 UBS have supplied hoists and access to a wide range of residential projects from single hoists, to the largest single residential hoist contract at Stratford Residential with over 70 hoists on one contract. 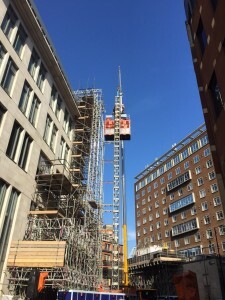 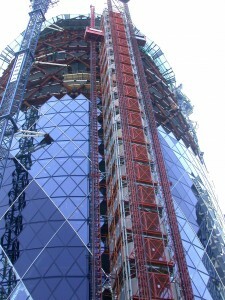 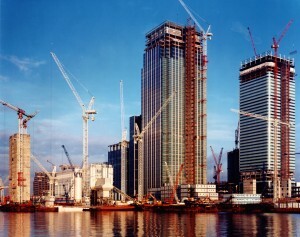 We are able to offer hoists and access towers for the construction phase, fit-out phase, or for the complete construction programme, developing schemes with our customers to minimise the impact of the access systems on the construction programme of the building. 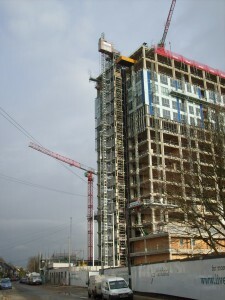 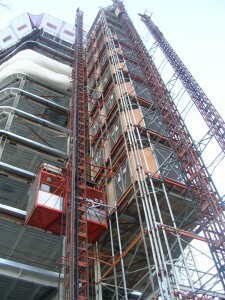 In addition we work with our customers to develop innovative systems to access or tying to the building structure, an example of which is the use of precast balcony brackets for fixing hoist to allowing local cladding to be fitted right up to the hoist. 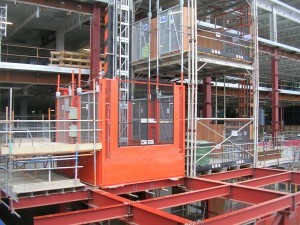 Below are a list of project links giving details of features of the access solutions provided by UBS. 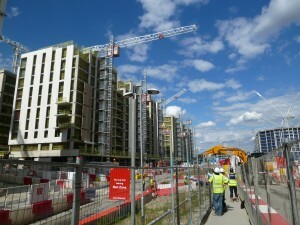 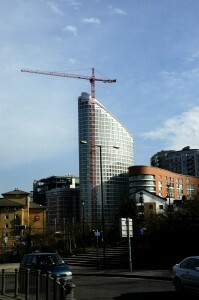 MOUNT ANVIL; Dollar Bay Dollar Bay in London’s Isle of Dogs, project by Mount Anvil UBS have now completed this project. 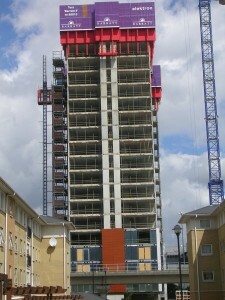 BALLYMORE Leamouth EcoWorld and Ballymore have created an exclusive island neighbourhood located in Leamouth. 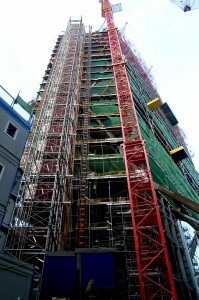 1706 apartments will eventually be built. 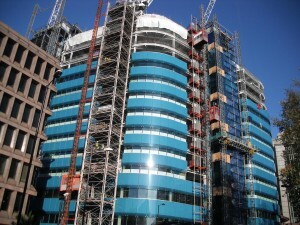 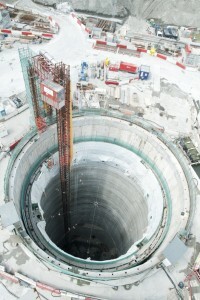 UBS have all but finished phase 1 and is about to start phase 2. 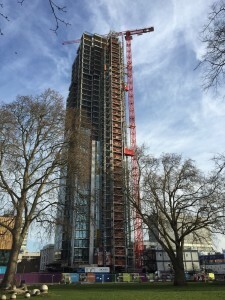 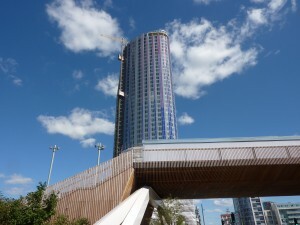 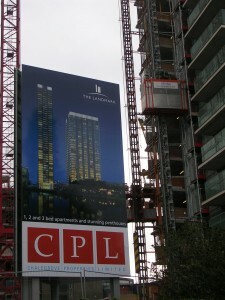 CHALEGROVE PROPERTIES, THE LANDMARK, ISLE OF DOGS, LONDON The Landmark comprises of two stunning towers which will feature cafes, restaurants, shops and a piazza as well as 644 luxury apartments. 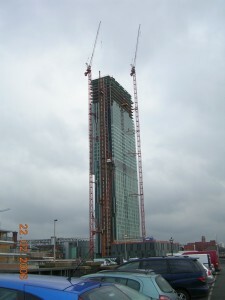 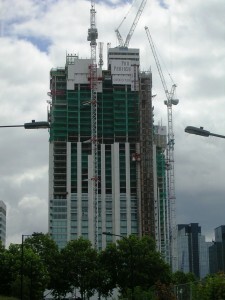 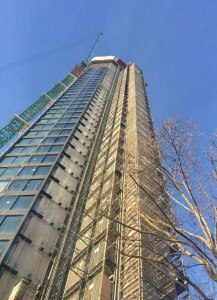 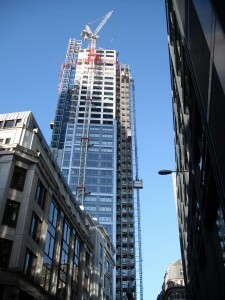 The Landmark has won two awards in the Prestigious Daily Mail UK Property Awards 2007 for Best High Rise Development and Best High Rise Architecture.